Don't You Deserve a Kitchen that Complements Your Lifestyle ? Manufactured on the Sunshine Coast! 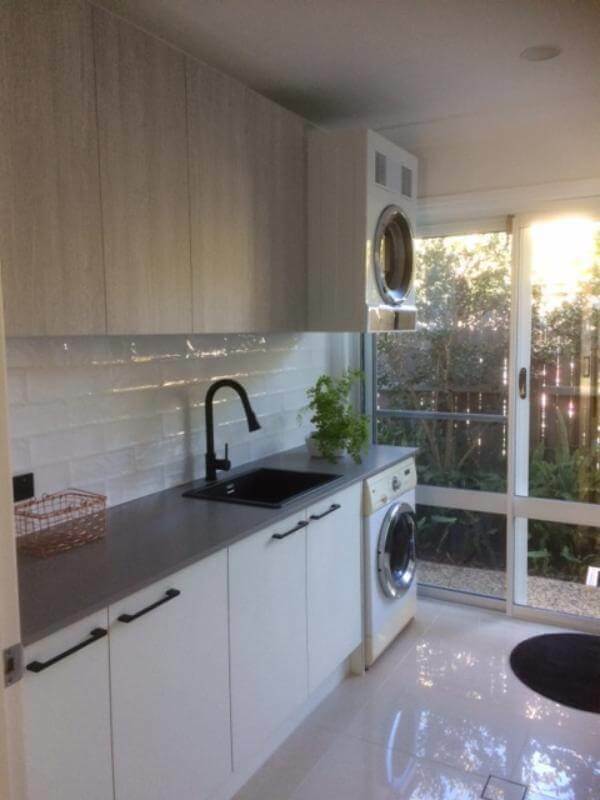 All About Kitchens Sunshine Coast specialises in Kitchen Renovations, New Kitchens, Kitchen Makeovers, Bathroom Vanities and complete Bathroom Renovations, Laundries, Custom Wardrobes and all custom made cabinetry. 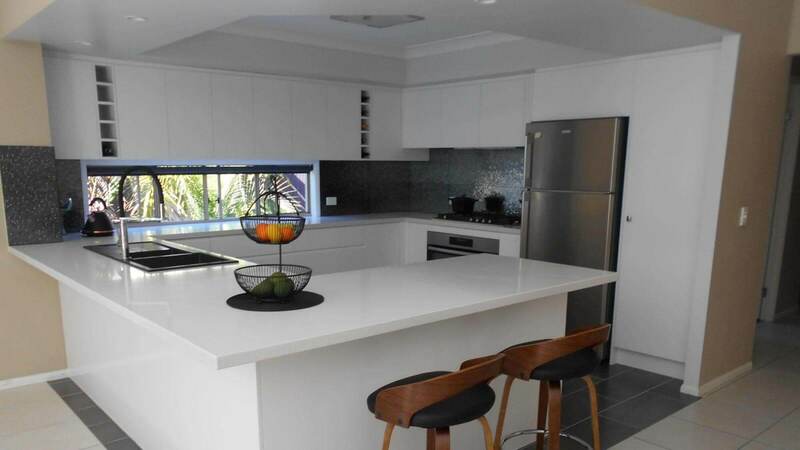 Our free in-house kitchen design service extends everywhere from Caloundra, Kawana & Nambour, Mooloolaba, Maroochydore & Buderim to Bli Bli, Coolum, Perigian, Noosa, down to Brisbane. Confused about which appliances are best for you? Don’t worry we’ve got that covered too! We offer practical advice after listening to your individual cooking requirements. Through our partnership with one of the best appliance retailers in Queensland, we have access to unbeatable prices on many Australian & European appliances. Whether you’re buying one appliance or a whole package – we can save you real money. Visit our Kitchen Appliance page for further details. We offer competitively priced high-end kitchens through to affordable luxury-look kitchens and all without the expensive price tags. As creative Designers, we combine our vision & expertise with your dreams & imagination. The result will be a personalised custom built design to perfectly fit your lifestyle and budget. We love what we do and we know you will too! So why not take advantage of our good judgement, clever ideas & more than 30 years of experience in new kitchens & kitchen renovations. We stand behind our kitchen designs and kitchen renovations and would be proud to show you our work. Call us today to book your free consultation. Then sit back & relax, because at All About Kitchens Queensland, we’re all about you! I recently had my apartment renovated on the Sunshine Coast. I found the company to be very professional and work was completed on time. I am very happy and my kitchen looks amazing. I would definitely recommend All About Kitchens. 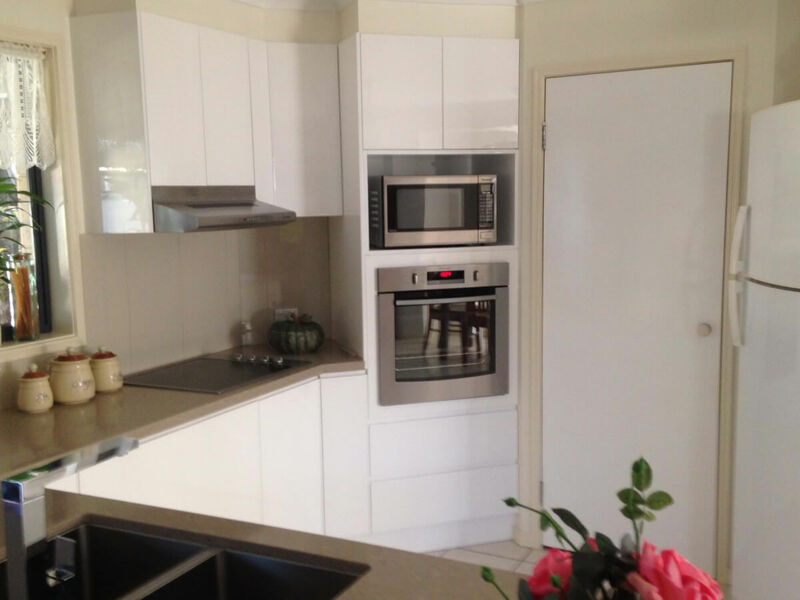 Our job involved a major kitchen redesign including removing walls and repositioning appliances. Barry freely offered an abundance of alternatives and design options. He planned, co-ordinated and scheduled the project in great detail, and readily adjusted to some unexpected obstacles. He went above and beyond when liaising with other suppliers. He was totally flexible with our "hands on approach" in terms of outside suppliers and sourcing of PC items and appliances. He has a acquired great team of tradesmen, who are a pleasure to have in the house, and who have delivered an outstanding product with an extemporary quality of finish. On top of this Barry and Ann are lovely people to have dealings with. All About Kitchens has given us a well planned, beautifully finished and practical kitchen. I can recommend them with total confidence. Dealing with Barry and Ann at All About Kitchens was a pleasure from start to finish. I made an appointment for Barry to scope the update of my kitchen, and provide a quote. His comprehensive quote arrived within a day or two. Barry was able to meet my budget constraints by providing alternative solutions and options. Barry provided a statement of work and the installation ran like clockwork. The tradesmen that work for or with All About Kitchens are top notch and amicable. Ann is efficient with the invoicing, which is helpful from a budgeting perspective. There’s not much left to say other than, I wouldn’t hesitate to work with Barry and Ann again. We were so glad that we went with Barry Hudson as he offered cabinet and drawers to suit our over size appliances and large pot sizes. The design and workmanship was absolutely amazing. His advise and ideas really assisted us. We have no hesitation in recommending All About Kitchens to anyone who is considering installing or replacing their kitchen. All his workmen are highly skilled which gave us peace of mind and confidence in their abilities. At the end of each workday they all cleaned up prior to knocking off. Well done Barry. A big thank-you to Barry and Ann Hudson, and all the crew working with All About Kitchens Mooloolaba for the excellent work on our new kitchen at Mapleton! It is just what we wanted and the project was managed with professionalism and personal warmth. 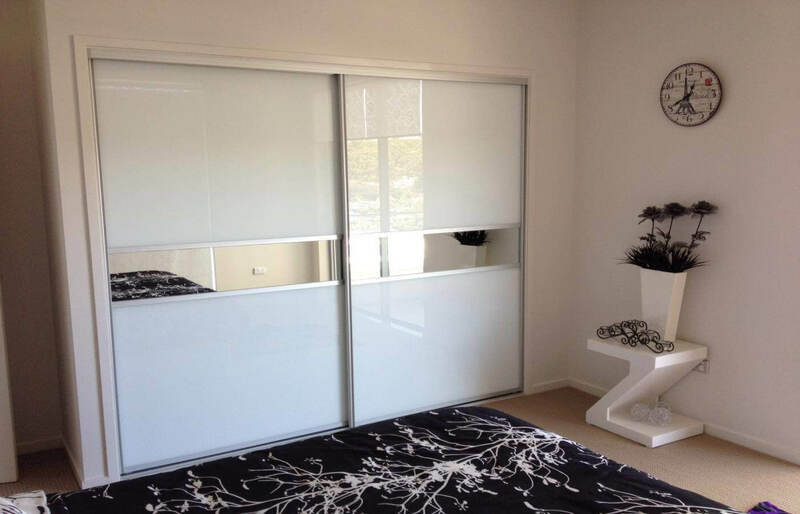 Our appreciation too for the work of Lyndon Hoger of Kenzee Constructions. We have no hesitation in commending this business. Well done to highest standard from showroom consultation to completion!